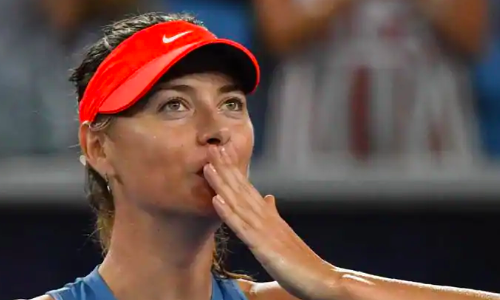 Maria Sharapova may not have had enough match practice coming into the 2019 season, but she’s certainly looked positive in all her Australian Open matches so far. Having made the third round on the back of two facile straight-set wins, Sharapova put on another dominating show to shock defending champion and No. 3 seed Caroline Wozniacki 6-4 4-6 6-3 to qualify for the round of 16. The Russian diva served five aces, won an impressive 74 per cent of the points on her second serve and broke Wozniacki on five occasions en route the hard-fought triumph. Besides, Sharapova also produced a moment of brilliance during the eighth game of the first set. Showing off her ambidextrous skills, the 31-year-old hit a left-handed lob after being forced to run to the left of her back from the right side of the net. And guess what? She went on to win that point. Sharapova will face local hope Ashleigh Barty on Sunday.